24 Hour Emergency Service: Call Now! For our team of HVAC Experts! We also offer residential heating & cooling! Years of experience doing the large-scale projects! When you trust your heating and air conditioning service and repairs to EDCO Environmental Services Inc., we make sure the HVAC system as a whole functions reliably and at peak capacity. Whether you are experiencing problems with your furnace or air conditioner, or seeking preventative maintenance, our NATE-certified technicians provide prompt, dependable, and lasting solutions. Through knowledgeable and accurate workmanship, the factory trained team from EDCO Environmental Services Inc. ensures safe, efficient and consistent temperature control. We arrive on time, equipped with fully stocked service trucks, and are confident that the majority of malfunctions can be corrected in a single visit. We strongly recommend annual check-ups to protect your investment from wear and tear, extend service life, and lower cost of ownership. For all of your heating and cooling needs in Valparaiso, Munster, Schererville, Orland Park, Tinley Park & Crown Point, contact the professionals from EDCO Environmental Services Inc.. If it heats or cools, we service, sell and install it! Offered in a broad range of capacities, styles, and efficiencies, today's furnaces burn less fuel to generate heat, making them more economical and environmentally responsible. Advanced technology has led to intelligent heating systems that adapt to interior conditions, answer to individual preferences, and recognize the difference between ideal air temperature and air quality. Because of WiFi compatibility, you not only have more precise control over temperature, humidity, fan speed, and ventilation, you can access your heating system from the comfort of your bed, from your desk at work, or from virtually anywhere. When you contact EDCO Environmental Services Inc. for commercial or residential furnace system installation in Valparaiso, Munster, Schererville, Orland Park, Tinley Park & Crown Point, we open up a world of modern conveniences, cost-savings, and luxury. Our NATE-certified technicians continue factory training, keeping up with increasingly complex designs and ensuring knowledgeable workmanship. We offer state-of-the art heating systems from the leading manufacturers, and as a Carrier Factory Authorized Dealer, are exceptionally qualified to recommend, build, and implement the perfect solution to your heating needs. When you trust your comfort to EDCO Environmental Services Inc., you're in good hands. Reliable, cost-effective cooling is within reach. It's necessary to maintain a comfortable, productive, and healthy living and working environment. Through a full range of state-of-the-art cooling systems and air conditioners, in a variety of styles, capacities, and efficiencies, EDCO Environmental Services Inc. answers the challenge of any residential or commercial space. To enjoy maximum capacity, savings, and reliability, cooling equipment must be sized and installed precisely. Factory trained and NATE-certified, the technicians from EDCO Environmental Services Inc. protect your investment, working with you to design and build the ideal air conditioning system to meet your exact needs. Innovations in technology and engineering have led to intelligent systems that put unprecedented control at your fingertips. Track energy use, get filter change notifications, and customize temperature, humidity, air quality, fan speeds and ventilation. These modern cooling systems automatically adjust speeds to varying indoor conditions, working to maintain ideal comfort as well peak efficiency. Contact EDCO Environmental Services Inc. for air conditioning system installation in Crown Point and across NW Indiana and Southeastern Chicagoland. We'll handle your entire project from start to finish with the highest level of professionalism. EDCO Environmental Services Inc. provides comprehensive commercial and residential heating, cooling, and refrigeration installation, maintenance, and repair in Crown Point and across NW Indiana and Southeastern Chicagoland. We specialize in air quality solutions, standby generators, commercial kitchen equipment, and building controls and automation. We work to ensure that the highest quality products are affordable and accessible to home and business owners in Valparaiso, Munster, Schererville, Orland Park, Tinley Park & Crown Point - improving convenience, productivity, and satisfaction. Whether you are looking for commercial or residential upgrades, retrofit, replacement parts or new installation, EDCO Environmental Services Inc. maximizes the value of your investment through a variety of periodic specials. We keep you updated on any manufacturer's rebates, and make sure you always benefit from the best price on products and services. Welcome to EDCO Environmental Services Inc.! At EDCO Environmental Services Inc., we strive to simplify your life by providing superior heating and cooling solutions in NW Indiana and Southeastern Chicagoland. Whether in the home or business, you should expect nothing less than the greatest level of comfort, convenience, and overall performance from your heating, air conditioning and refrigeration systems. Our team of factory trained HVAC technicians has extensive knowledge to perform safe and efficient installations, repairs and maintenance that are always completed on time, and within budget. Through excellence of service, we protect your investment and ensure your satisfaction. 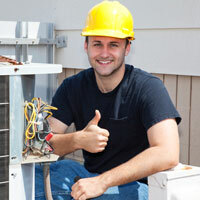 Expert heating and air conditioning repair, service and installation in NW Indiana and Southeastern Chicagoland! If it heats or cools, EDCO Environmental Services Inc. services, sells, and installs it. When it comes to your comfort, we go out of our way to make sure your commercial and residential heating and air conditioning systems meet your demands and expectations for performance and cost savings. You may find cheaper estimates for installation and service elsewhere, but you’ll pay for cut corners later on. Our meticulous design and energy saving technology sets us apart from those other guys, guaranteeing superior results. An investment with EDCO Environmental Services Inc. will pay you back in lower utility costs, fewer repair needs, extended service life, and exceptional comfort year after year. Contact the professionals at EDCO Environmental Services Inc. for superior HVAC and refrigeration for your home or business in Valparaiso, Munster, Schererville, Orland Park, Tinley Park & Crown Point.